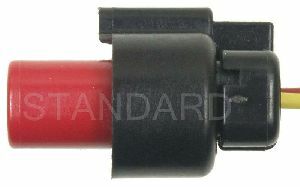 Showing 1 - 1 of 1 Products for Windshield Wiper Motor Connector. Offering hundreds of high-quality pigtails & sockets for nearly every electrical job. Utilizing high grade materials to ensure peak conductivity and perfect connections. Decades of industry leading research and development focused on meeting the technician's needs. With industry leading expertise, when original equipment fails our products are designed to fix the inherent failure issues. As a global manufacturer of original equipment ignition products, we maintain complete quality control throughout the manufacturing process from componentry to finished product.